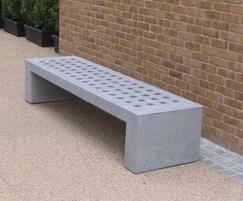 MAYO is a reinforced cast stone piece with a frame section. 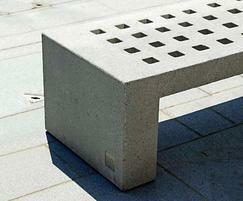 The simplicity of this bench lies in its pure geometry. 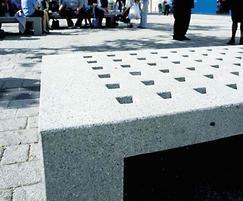 The seat, perforated in a draughtboard pattern, facilitates rainwater drainage, increases ventilation and lowers the temperature in the sun. The MAYO 220 is now manufactured in the UK under license from Escofet. 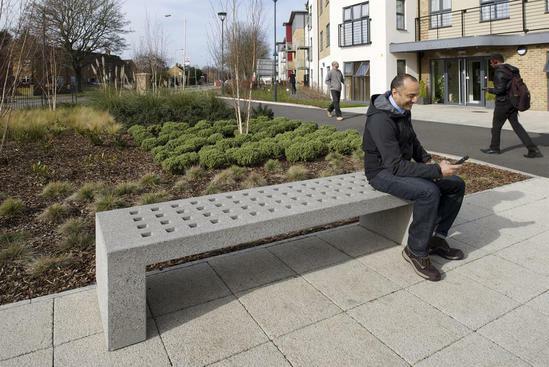 The UK manufactured elements are available in Grey and offer great value for money without the associated European transport costs. 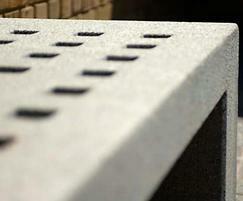 Architects Antonio Cruz and Antonio Ortiz designed this street furniture as a continuation of their first design, ABRIL. Manufactured in two sizes, it has become a classic in the collection, and it is widely accepted around the world. 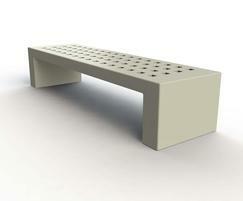 A more recent model, MAYO CIRCULAR, was designed to facilitate combinations with the large sized bench. 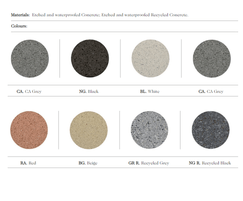 This collection is part of a new generation of neutral, abstract elements for universal use. These are self-explanatory elements. They focalize, punctuate, situate and organize space. 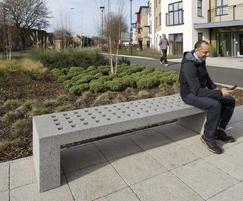 They relate easily to any landscape and the maximise the horizontal visual plane. This collection is clearly able to integrate into the urban environment without imposing, whilst simultaneously exerting its desire for permanence through its material. These designs are rigorous and simple in their formulation, but universal in their application.